Samuel walks through through the ruins of his family home with his father Phillip, on March 16, 2015 in Port Vila, Vanuatu. The president of the Seychelles on Monday called on the international community to “wake up” to climate change after a massive tropical cyclone devastated the Pacific island nation of Vanuatu. 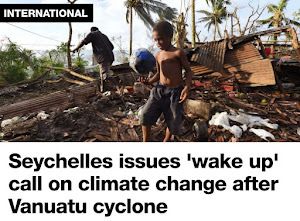 “The cyclone, which has just struck Vanuatu — a sister Small Island State — with such catastrophic effects and the tragic loss of lives is a clear manifestation of climate change, which some persist to deny,” Seychelles President James Michel said in a statement. “Today it is the South Pacific, tomorrow it could be us,” he added. His comments echoed those of Vanuatu President Baldwin Lonsdale. “Climate change is contributing to the disaster in Vanuatu,” he said Monday, as relief agencies surveyed the scale of damage caused by Super Cyclone Pam. Reports from the outer islands of Vanuatu on Monday painted a picture of utter destruction after the monster storm tore through the South Pacific island nation, flattening buildings and killing at least 24 people. Disaster management officials and relief workers were struggling to establish contact with the islands that bore the brunt of Cyclone Pam’s winds of more than 185 mph, which destroyed homes, smashed boats and washed away roads and bridges as it struck late on Friday and into Saturday. The official toll of 24 killed looked certain to rise as reports began to trickle from the hardest hit parts of the scattered archipelago. Military flights from New Zealand and Australia were bringing in water, sanitation kits, medicines and temporary shelters for the estimated 10,000 made homeless on the main island, with supplies being unloaded late into the evening at the airport. France and the United States were also sending aid. 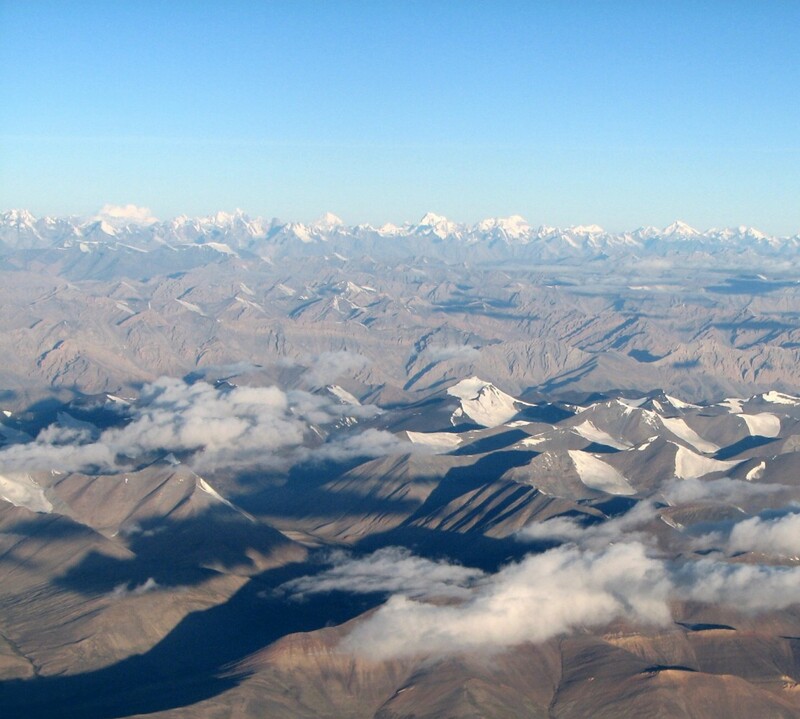 Commercial flights resumed on Monday, bringing in more aid and taking out tourists. Formerly known as the New Hebrides, Vanuatu is a sprawling cluster of more than 80 islands home to 260,000 people, about 1,250 miles northeast of the Australian city of Brisbane. Perched on the geologically active Ring of Fire, Vanuatu of the world’s poorest nations suffers from frequent earthquakes and tsunamis and has several active volcanoes, in addition to threats from storms and rising sea levels. Low-lying island nations, some of which are little more than three feet above sea level, are regarded as some of the most vulnerable to rising seas blamed on climate change. “When will the international community wake up to reality and put our efforts and resources to get a binding agreement to reduce global warming and sustain the survival of our planet?” Michel said.